If you have been reading my advice on binary options trading, you probably have noticed that I put a huge emphasis on the importance of demo testing. Most of the brokers recommended on this site offer demo accounts to traders. This is a really good sign that a broker is seeking long-term customers. You do not want to be a short-term customer who is going to blow through $250 (or more) overnight and never trade again. You want to be a customer who will trade successfully and profitably for years to come. If profit is a prime motivation to you (and not just entertainment), you absolutely have to test your trades. But how much testing is sufficient to decide that your system works and you are ready to go live? The short answer is that there is never enough testing, but you still will reach a point where you are ready to trade. You should actually continue testing long after you start trading with real money, and do so indefinitely. The market is always changing, and one of the lessons that trading teaches us is that you need to ride out your wins. If you find something that works, keep building off of it, adjusting it as needed, and making it work even better. All changes to your method have to be tested before you implement them trading real money though, which is why testing is an ongoing process. How much do you need to do before you can start trading with real money to begin with? Backtesting, if you do not already know, is the process of testing your trades on historical data. You need to download software to do this. Here is a short list of programs you might consider downloading depending on what you want to trade. Using these programs, you can scroll way back in time and look at charts of different assets as they performed in the past days, weeks, months or even years. First, you need to figure out what sort of expiry times you are likely to use. Are you going to be making days which expire in an hour? Several hours? A day? Several days? Weeks? Longer? Shorter? If in doubt, we recommend you begin with trades that will expire in a matter of hours or days. Once you decide, you can set up your charts to display the right time frame. If you plan to do trades which will expire in a day, set your chart to display hourly candles or bars. That way you can see the day as it would unfold, as well as its surrounding context. If you are going to trade with a broker who allows early closure, you will have enough control to exit trades early. If the broker allows rollover, you can ride out gains. If you are really truly serious about trading, you should honestly do at least 50 trades worth of backtesting. That means that you start back in time, and then move your charts forward one tick at a time, looking for setups. When you find a setup, you note it down in a spreadsheet as an entry, move the chart forward one tick at a time again, and see what happens. If you would exit early based on what you are seeing, log that and then see if it was the right decision. If not, stay “in” the trade and then see what would have happened. Note down the results honestly. When I say 50 trades, I mean 50 reasonably profitable trades. You cannot expect a 100% win percentage. If you hit 90%, you should be seriously impressed with yourself. If you can hit 75-85%, that is great. But keep in mind that with the way that payouts are structured, you have to hit a certain win percentage over time to be successful, and it is higher than you might think. Fifty percent will not make you break even with binary options. It will actually put you at a loss. That should give you perspective. You do not have to stop at 50 backtest trades either. Several hundred is not unreasonable. Here is a list of brokers who offer a demo account. 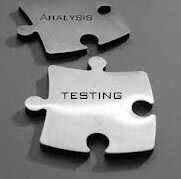 You will notice that the amount of testing that each broker permits you to do is different. Ideally, you would demo test for several months profitably before you actually traded with your real money. This is possible with many traditional brokers. Notice we mentioned Oanda on our page of backtesting programs. Oanda is a top notch Forex broker who allows you to demo test indefinitely. FX is a different trading process than binary options, but demo testing on a site like that could still help you. I recommend that you demo test as long as possible on any binary options website which will allow you to do so. MarketsWorld allows you to demo test without depositing any money. You could theoretically demo there indefinitely since no deposit is required. And regardless, you can always demo test without a platform if you have to by watching the available expiry periods at a binary options website where you are considering trading, writing down in a spreadsheet which trades you would take, and then seeing how they unfold. You should do at least some demo testing directly on the platform though to make sure that things work the way that you think they should where the software itself is concerned. Also note that when I say “several months” of demo testing, I am specifically talking about testing methods which rely on trades that last several hours to several days. If you are doing long-term trades that last weeks or more, you will obviously need to demo longer than that. If you do shorter-term trades, you may not need as long a time to determine you are doing well, but you still need consistent profit over a reasonable number of trades. Once you do this, you can try going live with real money. But keep on testing even after you start trading live, so that you can continue to improve your method over time! Marketsworld – No-Risk Free Money Demo account – Requires a minimum $20 deposit. 24Option – Free $2500 Demo account available – Requires a $200 deposit.